Well my oldest son Ben just reached the ripe old age of 21. He’s up in Flagstaff these days where he is in his third year at Northern Arizona University. He lives off-campus, sharing a place with three other dudes. I decided that what he needed for his birthday was his first reloading kit. Remember that he has a Thompson-Center Contender carbine in caliber 6.5mm TC/U. The only way to feed that little rifle is with handloaded ammunition. Up to now, I’ve done all the ammunition manufacture to keep the TC running. But now that he is mostly on his own, a full-fledged adult, I figured that it is time to turn over complete reloading responsibility for the TC to him. 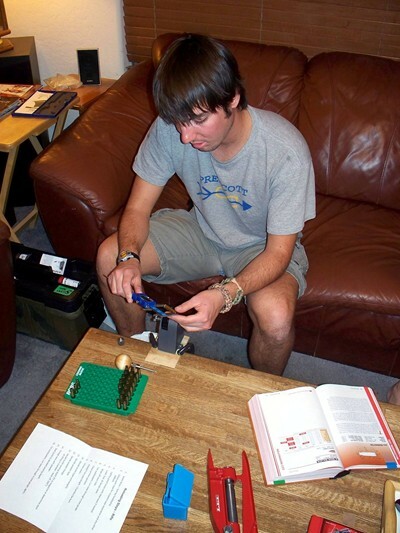 However, since he is not in a permanent living arrangement, what he needs is a reloading kit that is portable and compact — something that can be stuffed away in the closet when not in use. I decided to build him a kit starting with a Lee hand press, that would all fit in a Plano model 1816-01 Shooter’s Case. Lee is known for its inexpensive, but innovative and effective line of reloading products. Lee has some unique solutions for most of the steps needed to reload metallic cartridges. Building a complete, but inexpensive coffee table reloading kit from Lee products makes a lot of sense. Let’s start with the Lee hand press itself. Exactly as its name implies, this is a real reloading press, that uses standard dies, that is operated in your two hands. It cannot be bolted to a table to be used as a standard bench press. Yet, it can perform all the operations that a bench-mounted press can because it does use regular reloading dies. The frame is aluminum, but the ram, the die thread insert, linkage, and the pivot bolts are steel. Midway USA was my primary shopping resource for assembling this coffee table reloading kit. I purchased the Lee hand press in a kit which included the press, a powder funnel, a tube of resizing lube, and a priming set (shellholder die insert and punch), all for just $40. Select Brass – Sort by headstamp. Check each case for incipient case separation and any other defects. Lube, Size, & Decap cases. Tumble cases for 45 minutes to remove case lube. Clear polishing media from flash holes (small Allen wrench). For autoloaders, run cases through a case gauge. Check/Trim case length – Deburr. Decide bullet type and weight. Decide powder type and charge. Charge case with powder – trickle to exact weight. Seat bullet to decided cartridge overall length. For autoloaders, final check of completed cartridge in case gauge. Well there were some operations, such as case tumbling, that just could not happen with a kit-in-a-box. So steps 4 and 5 were scratched from the list. Step 8 is in the category of “nice to do”, but not necessary — scratch that. The tool needed would probably fit in the box, but I was looking to assemble a minimum kit. Step 1, select and sort brass — tool needed: case reloading blocks. I purchased these locally at Sportsman’s Warehouse. Two are needed. As operations are performed, one block holds the cases that still need the operation to be performed, the second holds the cases that have been processed. Cost: $7 each. Step 2, check for defects — tool needed: homemade bent paperclip feeler. Not included, but Ben was given instruction how to make one. Step 3, lube, size, & decap — tools needed: Recall that case lube was included with the hand press kit. Lube can be applied by finger to cases. Size and decap: Ben was presented with the 6.5mm TC/U Hornady dies and shellholder that we’ve been using these many years. Steps 4 & 5, cleaning cases, clearing flash holes: I gave Ben some fine steel wool to hand polish cases when needed. Clearing flash holes of corn cob polishing media not required. Step 6, case gauging for autoloaders: Like brother Sam, Ben recently put together his own AR-15 too. Sam added to the reloading kit by giving Ben a set of .223 dies. To assure reliable operation of reloaded ammo in an autoloader, all cases should go through a case gauge both after resizing and again after the round is finished. This weeds out defects such as bulged cases or other deformities which could cause a jam. Sam also added a Dillon .223 case gauge to the kit. This single piece is a little on the expensive side at $25, but I consider it a necessity. Step 7, clean primer pockets — tool needed: primer pocket cleaner. Lee to the rescue once again with an inexpensive little tool. Cost $2.09. Step 8, deburr flash holes — tool needed: flash hole deburring tool. Tool omitted as a luxury item that can be added later by Ben if desired. 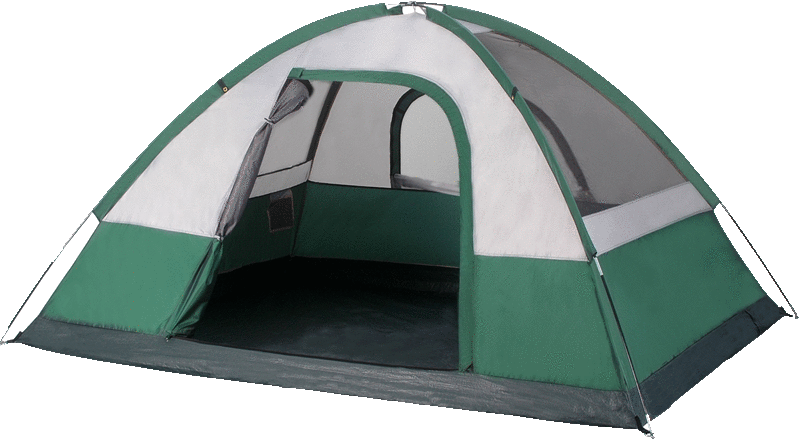 Step 9, Check/Trim case length – Deburr. Tool needed: calipers. At the time of my order, Midway was having a sale on their Frankford Arsenal electronic calipers for only $15. These are really nice and I almost ordered two, one for myself, but I already have two old fashioned dial calipers that are perfectly usable. Lee has a unique solution for case trimming. For every type of popular case, they have an inexpensive kit that includes a case length gauge and special shell holder. Each kit costs about $4.50 and is designed to be used with their ball handle case trimmer ($7) and something called a lock stud. This setup really doesn’t even require the services of a caliper to measure case length. The case gauge in concert with the lock stud and the special shell holder only allows case cutting until the gauge bottoms out on the lock stud, at which time the case has been cut to the optimum trim length. An option instead of the lock stud is a new Lee gizmo called the Zip Trim. The special shell holder screws onto the Zip Trim device. There is a pull string on the Zip Trim, like a lawnmower pull string, which when you pull, spins the shell which is chucked into the shell holder. You apply the ball handle case trimmer with case gauge to the shell while it is rotating, and the shell is trimmed to proper length. The Zip Trim device can be bench mounted. Or it can be mounted to a block of wood. The wood block can then be clamped to the coffee table for a temporary bench mount arrangement. I also added the Lee Chamfer and Deburr tool to Ben’s kit for the staggering sum of $2.79. After trimming, the chamfer and deburr tool can be applied to the shell while it is still chucked into the Zip Trim to make quick work of that operation. Pretty slick. Step 10, prime cases. I mentioned earlier that the hand press kit included priming tools. You have to feed each primer by fingers to the ram mounted punch, but it works fine. I donated a Lyman primer flipper tray to Ben’s kit that I no longer needed. Steps 11 through 13, decide bullet, powder type and charge, cartridge overall length. I included a pound of H335, 500 small rifle primers, and a box of fifty 100 grain .264” Nosler Ballistic Tip bullets. To that, Sam added one hundred 55 grain .224” diameter FMJ bullets for reloading .223 Remington ammo. 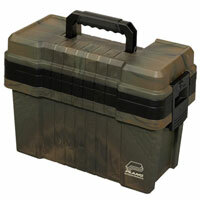 Plenty of cases for both 6.5 TC/U and .223 reloading were also included. That’s enough to get him started. But one of the most important things needed is information. Hornady offers one of the most comprehensive reloading manuals on the market. They recently brought out a fresh edition which I picked up. I then donated my most recent prior edition to Ben’s kit. The major difference between the old and new books is info on some new calibers and new Hornady bullets. Step 14, charge case with powder. As mentioned previously, A funnel was included with the press kit, and I decided that a Lee Powder Dipper kit would be adequate. This kit includes 15 yellow plastic dippers in graduated sizes, plus a chart that shows how much volume by weight each dipper scoops for most common powders. When we tried it out though, we found that the quantity of H335 that we wanted to throw was almost exactly between two dipper sizes. One was too little, the next was too much. The limitations of dippers became apparent. So as a follow-up Christmas gift, I got Ben an inexpensive MTM digital electronic scale. It is small and compact, but when we compared it to my larger (and more expensive!) Dillon electronic scale, they read exactly the same for a sample powder charge. Cost: under $30. He can throw the basic charge with the dipper size that is below the desired charge, then trickle up to the exact weight using a small dipper. Step 15, seat bullet. For setting the cartridge overall length, this is where the electronic dial calipers are definitely needed, even if they are not really needed to check case trim length with the Lee trimming system. Step 16, re-gauge finished cartridge (for autoloaders). Got it covered already with the Dillon case gauge. In assembling this kit, I was pleasantly surprised by the the low cost of most of the pieces. All the Lee products, the calipers, and the digital scale are perfect examples. Ben can upgrade or add pieces in time as finances and interest dictate. 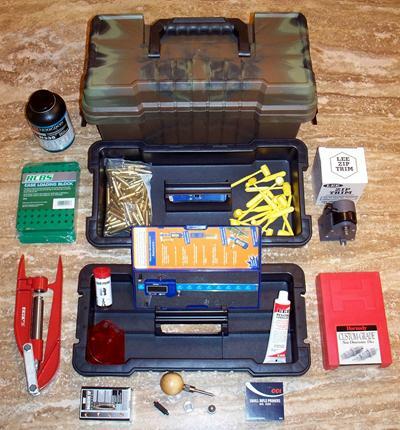 But all necessary reloading operations can be performed with this basic kit to produce quality reloads.